"How can you sail into a dream? Dreams are like mirrors. You walk towards them and a cold pane of glass stops you." 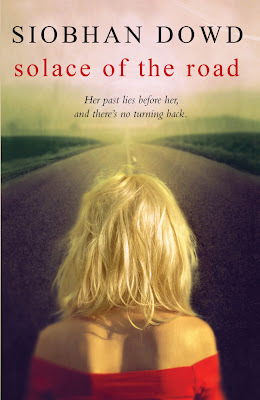 solace of the road is the final novel to be published by Siobhan Dowd following her tragic death in August 07, aged 47. Aimed at teenagers it follows Holly Hogan on her road trip away from her foster home to try and find her mother in Ireland. "I looked for a sign of a mass-murdering mental man but couldn't find any. No guns or knives or pictures of naked ladies dangling from the mirror." The overall experience is engaging, clever and touching. "She sat on the bed and her eyes filled and I was the last whale harpooned." Siobhan's first novel, A Swift Pure Cry won the Branford Boase Award and the Wilis Dillon Award and was shortlisted for the Carnegie Medal and Booktrust teenage Prize. 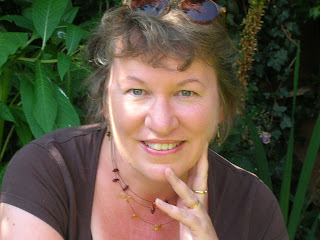 Her second book, The London Eye Mystery, won the 2007 NASEN & TES Special Educational Needs Children's Book Award. Siobhan lived in Oxford with her husband Geoff, before dying of breast cancer. At the bequest of Siobhan all royalties from her literary estate go to The Siobhan Dowd Trust. The trust will help disadvantaged children in the UK and Ireland discover and experience the joy of reading. It will offer financial support to public libraries; state school libraries (especially in economically challenged areas); children in care; asylum seekers; young offenders; and children with special needs. For Siobhan's site click here. For The Siobhan Dowd Trust click here. Siobhan has the number one gift of gripping you from the first page and not letting you go till the final, always satisfying, last page. Her gift for fabulous characterisation, however small the role, combines brilliantly with original and carefully constructed plot-lines. Always believable, she yet raises the drama to a frighteningly intense level. Hardest act of all, she manages to keep up the humour even when the going gets tough. Solace with all her gripes and bravery, is a fitting heroine for our times. Yet again, hooray for another Siobhan Dowd masterwork! Siobhan inhabits her characters so completely, you feel you know them. In Holly, she has done it again; here is someone whose wit and humour carries her through the hardest of times, and whose journey of self-discovery is both poignant and heart-warming. A delight. the dream trip you would like to go on. On Tuesday 17th March, I speak to David Fickling about Siobhan Dowd on Blog Talk radio. David Fickling is a children's book editor and publisher. 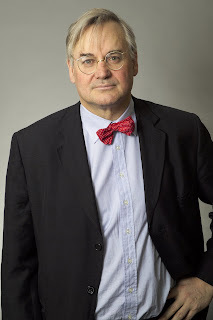 He started his career with Oxford University Press in 1977, moving on to Transworld and then to Scholastic UK. In 1999, David formed his own imprint in Oxford, David Fickling Books. The imprint is now based with Random House and publishes about a dozen titles per year in the US, Australia and new Zealand as well as the UK. Recent titles include Philip Pullman's Lyra's Oxford, Mark Haddon's The Curious Incident of the Dog in the Night-time, John Boyne's The Boy in the Striped Pyjamas and Linda Newbery's 2007 Costa Award-winning Set in Stone. In 2004, David received the British Book Award for Editor of the Year. He lives with his wife and three older children in Oxford, England.